The Dune Riders are an outcast tribe of Fyros who broke away from the Fyros empire, though they still follow the Kami. They reside in the far corner of the Savage Dunes, and although their camp is open to most visitors and they are not directly at war with the Fyros nation, the Dune Riders still despise the empire, and Fyros are advised to be cautious when approaching their camp as they may be attacked. This tribe was founded by exiled Fyros. 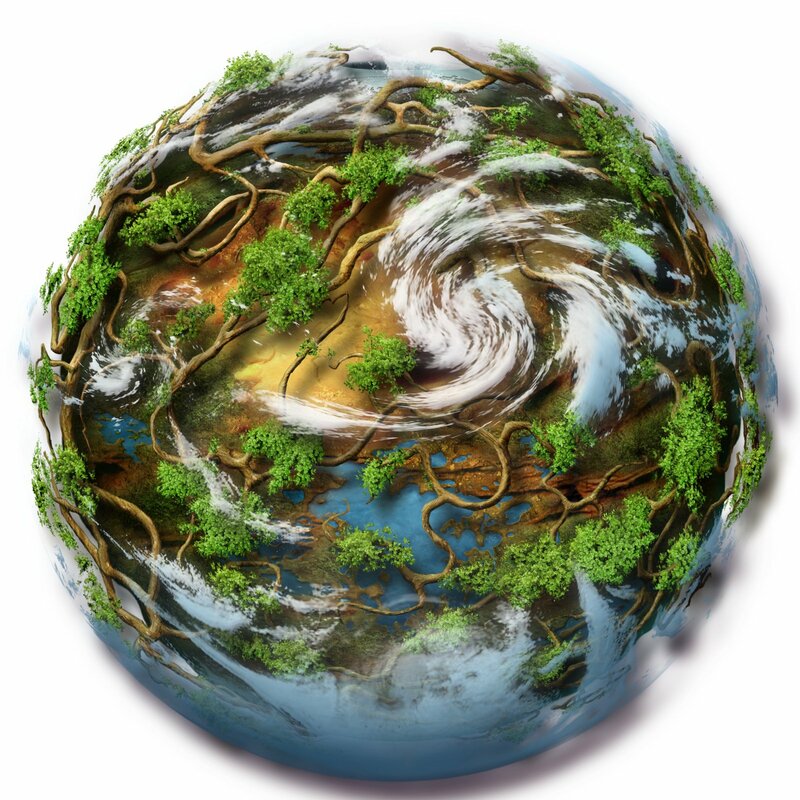 Since breaking away from the Fyros people they have built their society on a new social order. They are especially motivated by territorial acquisition and are against the expansion of other homins, believing this would present a threat to their own land and livelihood. They are nonetheless willing to negotiate peace in return for technological expertise or territorial guaranties. Mercenary tribes and bandits fuel feeling of antagonism for personal gain. General feeling of insecurity. Pro-Karavan tribe of the Renegades founded. Ancient pro-Kami tribe of the Dune Riders reformed and based in Savage Dunes. — from "Fyros History, the New Beginning"
This suggests the Dune Riders were around since long before the Great Swarming, but were torn apart in that cataclysmic event and didn't manage to reform until the new Fyros empire was well established and had entered a time of rising tensions that saw many Fyros break away from the empire. 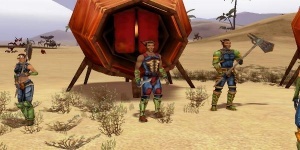 On Aniro, the Dune Riders are known as the "Savages". 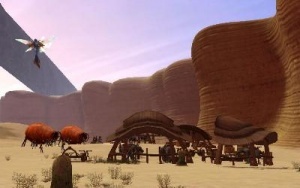 Southend Dune Farm - An example of the territorial disputes between the Fyros empire and the groups that would later unite into the Dune Riders. This page was last edited on 9 August 2018, at 12:18.